Program Associate, Bengal Institute for Architecture, Landscapes and Settlements. Afifa Razzaque completed her Bachelor of science (B.Sc) in 2011 and Masters in Geography and Environment from Jahangirnagar University in 2013. She worked in Disaster Risk Reduction (DRR) projects in coastal area which involved building new Cyclone Shelters, introducing climate resilient agriculture in cyclone and flood prone area in southern Bangladesh. 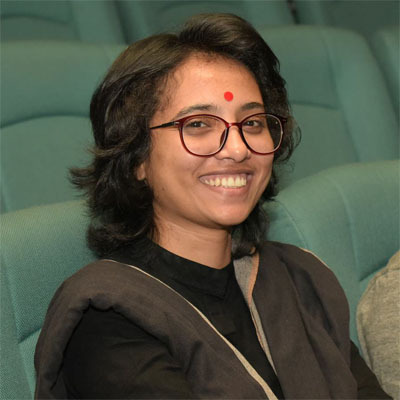 Her interest for understanding the river dynamics of Bangladesh have motivated her to work on mapping transboundary rivers Bangladesh and the diverse impact of building hydraulic infrastructures on socio-economic condition of the people living in river-islands (Chars). She also has a keen interest in agriculture.